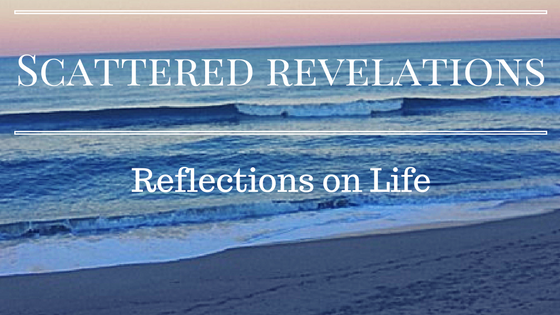 I preached this sermon on Sunday May 18, 2014 at the Unitarian Universalist Congregation of the Outer Banks. Flower Communion is one of my favorite Unitarian Universalist Services. I love that we all bring a wide range of flowers. Some come from our own gardens, some from other people’s gardens, some from stores and I have even been in congregations where congregants bring them from the grounds of the congregation itself forgetting until they get there that they were asked to bring a flower. And every congregation I have served always made sure there would be more than enough flowers for those who are new, those who forgot and those who did not know it was Flower Communion Sunday. Norbert Capek wanted a ritual that his congregation, many who had left and been hurt by Roman Catholicism, could relate to. He actually called it a Flower Festival in order to be sensitive to the feelings of his congregants. The first flower festival took place in June 1923. It was Norbert Capek’s wife, Maja who brought the Flower Festival Ritual to the United States. Norbert and Maja, a Czech born American, met in New York where Norbert was studying for his PhD. After he finished his studies and discovering Unitarianism, Maja and Norbert founded the Unitarian church in Prague. Maja became a minister herself, ordained in 1926. Maja toured the United States in 1940 and introduced the Flower Festival to the members of the Cambridge, MA Unitarian church. Unfortunately the outbreak of World War II prevented Maja from returning to Prague. After the war ended, she learned that Norbert, who was vehemently opposed to the Nazi regime, was caught listening to foreign broadcasts and accused of high treason and died in a Nazi death camp. The Flower Festival honors the diversity found in our faith communities. Each of us comes here, each unique, each with a different view, looking for different things, exploring different paths and here we find community. Here we find other seekers to share the journey. We listen, learn and laugh with each other. We gather together affirming that while we may each be seeking our own truth, it helps to have others to learn and share with. As Unitarian Universalists we affirm that we are interconnected – that we need one another. We gather together in community and take full responsibility for the health and vitality of this faith community. It is our hands that do the work, our hands that raise the money, steward the funds assuring that there will be enough for today and enough going forward. The pledge campaign going on right now, will let us know how much we can spend next year. It will direct the budget. The offering each week is not just about collecting money. It is a collective spiritual practice of abundance. It serves not just the needs within this faith community, but it allows us to support organizations in the Outer Banks. Our practice of abundance supports us and the larger community of the Outer Banks. We cannot talk here about a leadership that is “them” and not “us” for we are the leaders, those who we will elect to serve in formal leadership positions in about month are voted upon by us, and they are us. It is a requirement to serve in an elected leadership position that one be an active pledging member of this faith community. Literally without us, without the people, there is no Unitarian Universalist Congregation of the Outer Banks. While I am not usually a big fan of Puritan austerity there was something to that style of plain architecture, with no pictures, no images to remind the community that the church was not the building but rather the people within. It reminds me of a game my mother used to play with me when I was a child. She would put her hands together like this (demonstrate) and “here is the church, and here is the steeple, open the doors and there’s all the people.” She taught me an important lesson that the church was the people; that without the people the church was just an empty building. Both Unitarian Universalists and Americans state that we value diversity, affirming “that all are created equal.” Yet still we struggle with diversity; we struggle with the living the truth that all are created equal and to value the ways we are different. As human beings it often seems like we are hard wired to seek out only those who are like ourselves and to fear those who are different. Now maybe in the early days of human history this was a wise strategy. Maybe we needed just our own small like-minded, like-looking tribes to survive. Yet in our globally interconnected world, this in-ward focus is dangerous to ourselves, others and to the planet that we share. Now we live in a country that is rapidly becoming a majority of minorities. This is already true for those children being born today. Today it is necessary for us to interact and get along with those who are different from us. As Unitarian Universalists we have longed affirmed both the worth and dignity of the person and that we are all connected. We are invited to value the beauty of each person as well as of the whole. Yet in many ways we Unitarian Universalists too struggle with diversity. Our diversity is found in our diverse spiritual journeys, our theology, in gender, in sexual orientation and yet one would be hard pressed to look at most Unitarian Universalist congregations and say we are truly diverse. We are still a mostly white, mostly well-educated and an increasingly older faith community. We struggle to attract younger people and people of color. Yet we know that our message of inclusivity is not just one for us. Our message that there is more than one path; that we can doubt, wrestle with tradition and scripture is not just for us alone. We have a message as Unitarian Universalists that is broader and more diverse than just who might typically be within our walls. We know that our faith communities are stronger, more vital and more relevant when we don’t just play lip service to diversity, but when we actually actively engage with diversity. We should also remember that we are not just waiting for diversity to come to us, it is already present in our midst … sometimes in only focusing on only what UU communities typically look like, we forget to celebrate the diversity that is already present. So what does all this have to do with flowers and a flower communion? Flowers remind us that each flower is unique and beautiful in its own right. There are so many different flowers and they are beautiful in so many different ways. We don’t become “colorblind” to the flowers – we don’t see just one but we see all the colors in all their beauty. Some smell amazing and some have no smell at all. Some flower buds become fruit or vegetables. They are all different colors and sizes and shapes. They remind us that the flowers don’t fight with each other about how their own particular kind of beauty is the superior one. The rose is not bothered by the beauty of the iris or the strawberry. Each blooms, each reminds us of the beauty of life. We use flowers to celebrate so many occasions, happy and sad. We give flowers to performers, to graduates, they are present at weddings, and births. They are present at the hardest times as well – when people are sick, when they are facing surgery, flowers are present at our funerals and memorials. In the midst of death, the flowers remind us of the beauty of life. Flowers can remind us to value difference, to seek out the unique beauty found in each. The flower communion itself reminds us that the bouquet we make together is a thing of beauty … so that both the individual flower and the collective joining of flowers are pieces of art. For diversity requires more than mere tolerance; tolerance won’t lead to thriving, vibrant diverse communities. It might keep us from killing each other but for true diversity to thrive, we need to respect, to appreciate, to seek the beauty that is different than our own. Without each person, each unique person’s beauty, this community of UUCOB would not be the beautiful warm and welcoming faith community that it is. Each person present here whether for the first time or the 100th, whether they are life-long Unitarian Universalists or not, whether this is their first UU congregation or their 10th – each person is a part. Each time we invite a new person in, each time a new person walks through that door, their beauty is added to the bouquet. When we lose a member of this community, we mourn their loss and the memory of their beauty, like the beauty of the flower after it withers, remains in our hearts and minds. Flowers remind us, as well, that life is short and to live fully while we are here. We have the opportunity in the brief time we are alive to share our beauty with others and with the world so that after we are gone, our memory will be a blessing, our beauty will live on in the memories of those whose lives we touch. Norbert Capek lived to be seventy-two years old and seventy-two years later, his memory and beauty live on in the Flower Communion! Thank you Norbert and Maja, for this gift of the Flower Festival – May it live on and may your story not be forgotten!